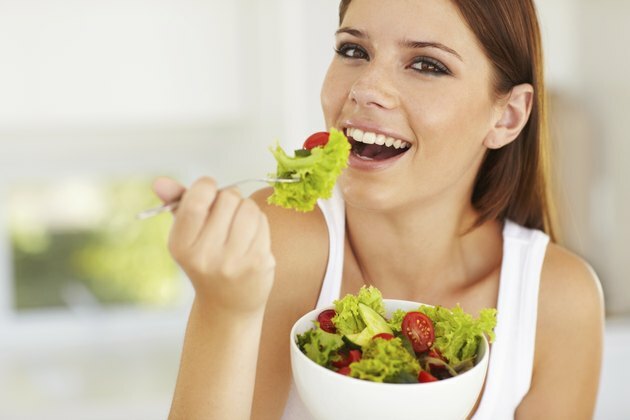 If you have a heart condition, the American Heart Association recommends you eat a healthy diet consisting of a daily intake of no more than 1,500 milligrams of sodium, fewer than 200 milligrams of cholesterol, less than 7 percent calories from saturated fat and less than 1 percent calories from trans fat. It also recommends no more than 24 grams of added sugar for women and no more than 36 grams of added sugar for men daily. 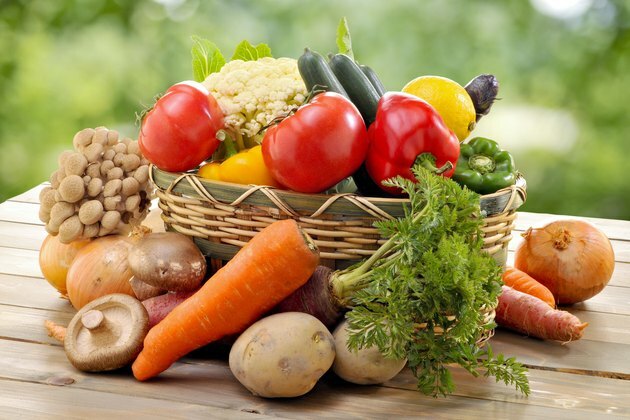 Most fresh or frozen fruits and vegetables are fat free and cholesterol free, are low in sodium and contain fiber and antioxidants, nutrients that help neutralize disease-causing free-radicals. Fiber helps lower cholesterol and blood pressure, while antioxidants are anti-inflammatory. Researchers conducting a large-scale Harvard-based study published in 2004 in the "Journal of the National Cancer Institute" associated a higher average daily fruit and vegetable intake with a lower incidence of heart disease. Always read food labels and beware of canned fruits, vegetables and juices, because they often are high in sodium and may contain added sugar, including high-fructose corn syrup, which can increase triglycerides and bad LDL-cholesterol. 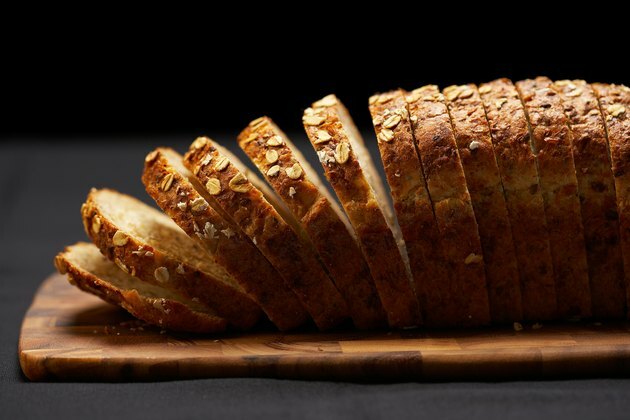 Choose whole grains such as whole-wheat flour breads and pastas, brown rice and rolled oats rather than refined grains such as white-flour breads and pastas and white rice. Whole grains include the endosperm, bran and germ of the plant that contain most of its fiber and nutrients. Other important nutrients in whole grains, aside from fiber, include the antioxidant selenium; folate, which helps your body make red blood cells; and iron, which carries oxygen in the blood to your heart and other organs. Refined and enriched grains rarely have as many nutrients as whole grain; they're a source of empty calories and often contain added sugar. 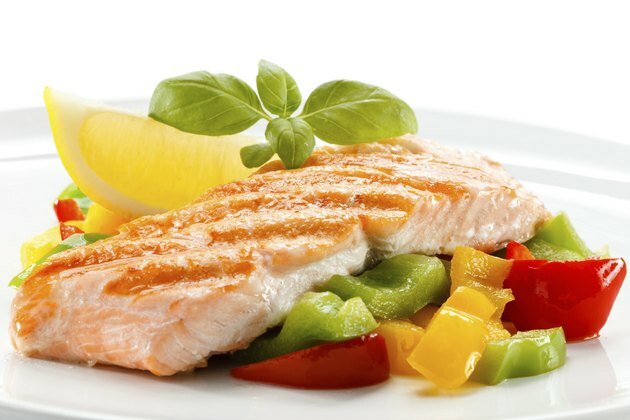 The American Heart Association recommends eating nonfried oily fish such as salmon or trout twice a week. Fish oil contains the polyunsaturated omega-3 fatty acids eicosapentaenoic acid, or EPA, and docosahexaenoic acid, or DHA. Fish oil may potentially decrease high triglycerides, blood pressure, inflammation and the risk of blood clots. Focus on reducing your intake of cholesterol and saturated and trans fat -- including egg yolks, organ meats, meat fat, poultry skin, full or partial-fat dairy and foods containing partially hydrogenated oil, such as margarines and shortenings, peanut butter and microwave popcorn. Nuts and seeds are a good source of monounsaturated and polyunsaturated fat. 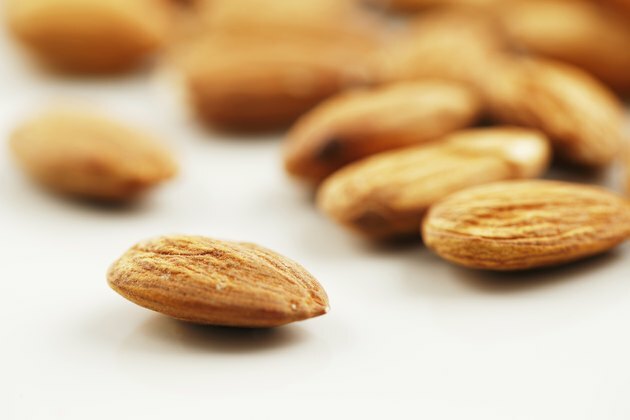 According to the Academy of Nutrition and Dietetics, polyunsaturated fat from nuts and seeds may reduce inflammation, blood pressure and lipid levels, while monounsaturated fat may lower your triglycerides, blood pressure and bad LDL-cholesterol, if you replace saturated fat and carbohydrates with them. Nuts and seeds contain monounsaturated and polyunsaturated fats. Hazelnuts and almonds are particularly high in monounsaturated fats, while walnuts and flax seeds are high in polyunsaturated fat. Keep in mind that you should avoid nuts and seeds with added sugar and salt. American Heart Association: Can Antioxidants in Fruits and Vegetables Protect You and Your Heart?